With the end of summer coming too fast – I am trying to squeeze every last drop in! I’m going to miss these amazing summer nights! I wore this casual outfit on an evening stroll with a few friends. 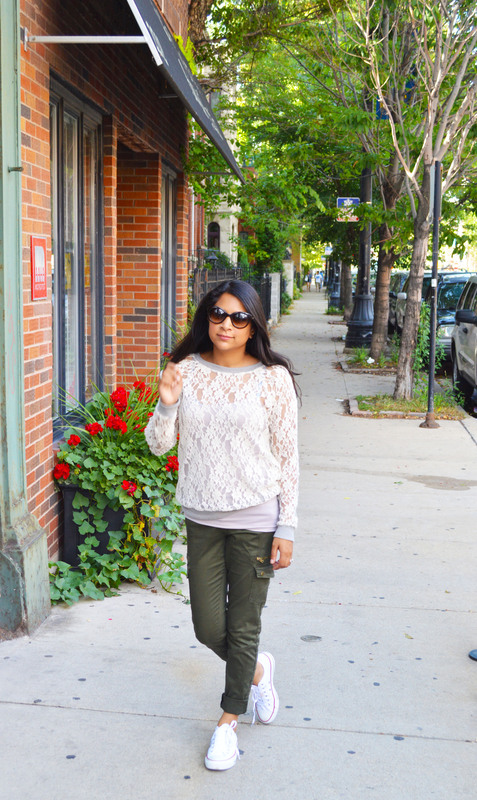 Earlier this summer I found this lace top at Forever 21 – I loved it instantly because it is very causal yet super chic. 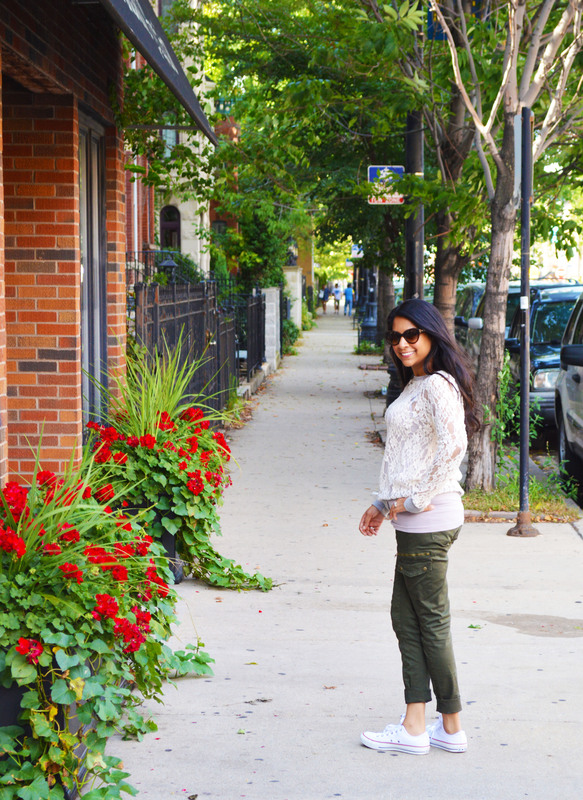 I paired it with olive green cargo pants from Zara and my favorite Converse sneakers!